If you’ve been diagnosed with high blood pressure, your doctor has probably advised you to take a blood pressure lowering medication. Often called hypertension, high blood pressure is a common diagnosis for millions of people. Tragically, high blood pressure is increasing in younger and younger people, including children. High blood pressure is dangerous. It makes the heart work harder to pump blood out to the rest of the body. High blood pressure contributes to stoke, hardening of the arteries, heart failure and more. High blood pressure is not acquired genetically, so don’t blame hypertension on your genetics. 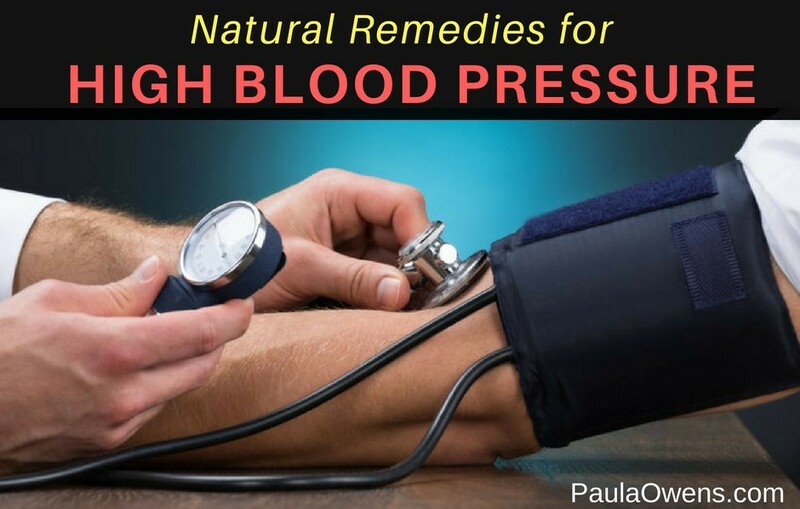 We are not genetically programmed to develop high blood pressure. Poor nutrition, a toxic environment and an unhealthy lifestyle are the culprits. • Rule out underlying infections. 75% of individuals with high blood pressure tend to have underlying infections (bacterial, viral, Candida, fungal, SIBO, H. pylori, parasites and dental infections). The appropriate testing will determine if a hidden infection is the root cause. • Inflammation is a silent killer and a hypertension precursor. The key to healing is to resolve the root cause of inflammation (inflammatory foods, sedentary lifestyles, chronic stress, infections, disrupted microbiome, infections, lack of sleep, gut infections, pesticides, herbicides, chemicals, GMOs, glyphosate). When the inflammation is resolved, blood pressure tends to normalize (120/80). • Balance the parasympathetic (calming) and sympathetic nervous system. Chiropractic, acupuncture, nature therapy, breathing exercises, yin or restorative yoga, walking, strengthen vagal tone and activate the vagus nerve, and sound therapy and music such as listening to binaural beats, classical music, Solfeggio frequencies or any calming music helps to reduce high blood pressure. • Stress management. Stress comes in many forms: emotional, mental, psychological, spiritual, environmental, electromagnetic and physical. Although stress is a normal part of being human, it’s our perception and how we choose to deal with stressors that inevitably occur. Stress and anxiety cause chemicals to be released into the body that elevate blood pressure and reduce blood flow to the heart. Scientific research has shown over and over that rumination on angry thoughts leads to physical manifestations of that pain. Bottling up betrayals brings on muscle tension, high blood pressure, and undue stress on the heart. • Decrease alcohol consumption, which trigger adrenaline rushes that cause blood pressure to soar. Excess alcohol also leads to insulin resistance, disrupts glucose, uric acid and triglycerides levels, affects brain and neurological function, liver health and gut health. • Good sleep is crucial for reducing high blood pressure. Rule out sleep apnea and restless leg syndrome. • Open detox pathways and optimize healthy adrenal, thyroid, liver, colon, lymphatic, gallbladder and kidney function. • Hydrate with clean filtered water (no plastic water bottles). Install water filters in your kitchen and shower. The solution to pollution is dilution. • Electropollution. Reduce WiFi, artificial lighting and EMF exposure. EMFs, WiFi, artificial blue light at night and dirty electricity have been linked to hypertension and many other modern diseases, health conditions and life-threatening health problems. Avoid bright screens, artificial lighting and blue light at night 3 hours before bedtime. • Lose excess body fat with a real food diet, a smart and sensible exercise program, move more, less screen time and sitting, more quality sleep and self-care, and reducing exposure to toxic chemicals. • Sunlight. Vitamin D deficiency/insufficiency is associated with hypertension. Exposing skin to sunlight helps to reduce blood pressure and reduce the risk of heart attack and stroke. Research shows that sunlight alters levels of the small messenger molecule, nitric oxide (NO) in the skin and blood reducing blood pressure. • Increase intake of potassium-rich foods: organic vegetables, fruits, sprouted beans and legumes (if not lectin-resistant) and fish. Most Americans consume only half the recommended daily intake of potassium and an excess of sodium. • Raw cacao has a blood pressure lowering capacity and is superior to placebos in lowering systolic hypertension or diastolic pre-hypertension. • Blueberries rival prescription drugs in lowering high blood pressure. A study published in The Journals of Gerontology: Series A reported that “after one month, participants who consumed 200gm (equivalent to approximately one cup) of blueberries every day for a month exhibited improved blood vessel function within two hours and reduced their systolic blood pressure—an effect similar to prescription blood pressure drugs. • Celery has been used for many years in Chinese medicine to alleviate high blood pressure. Celery contains a phytochemical called phthalides that relax the tissues of the artery walls to help increase blood flow, relieve stress hormones and reduce blood pressure. Celery also helps increase bile flow, hydrochloric acid, and acts as a diuretic helping to minimize water retention. Celery and celery juice may lower cholesterol by increasing bile acid secretion. • Protein is a natural ACE inhibitor due to the amino acids. A study published in the American Journal of Hypertension found that participants consuming the highest amount of protein (an average of 100 g protein/day) had a 40% lower risk of having high blood pressure. Another study published in the journal Neurology found that those consuming a diet higher in protein were 20% less likely to develop a stroke. • Garlic, ginger, beet root juice, organic beets, hibiscus tea, extra-virgin olive oil, tomatoes, celery and pomegranates are especially helpful for reducing high blood pressure. • Smoothie Recipe for Hypertension. Blend the following ingredients in a Vitamix or other high-powered blender: one whole beet with the greens, handful of fresh parsley, 1/2 teaspoon cayenne pepper, 3-4 stalks of celery, 1/2 cup blueberries, a knuckle of fresh ginger root, water and ice. Avoid these top offenders that increase blood pressure: non-organic foods, grains, wheat, processed carbohydrates, sugar, fructose corn syrup, and alcohol. Avoid frankenfats found in thousands of processed, packaged and fast foods (breakfast cereals, cookies, chips, fried foods, packaged foods). Restaurant food, especially from fast food chains often serve food loaded with trans fats. Our bodies don’t know how to metabolize these toxic fats. Eliminate sugar, gluten, grains, processed foods, corn, starchy carbs, soy, rancid omega-6 vegetable oils (corn, canola, soybean, safflower), and all artificial sweeteners. Phenylalanine, found in Nutra-Sweet and OTC anti-histamines aggravate high blood pressure. Side effects from hypertension drugs: dizziness, increased risk of breast cancer, memory loss, nausea, asthma-like symptoms, joint pain and impotence in men. Video: Worried about the side effect from hypertension drugs?